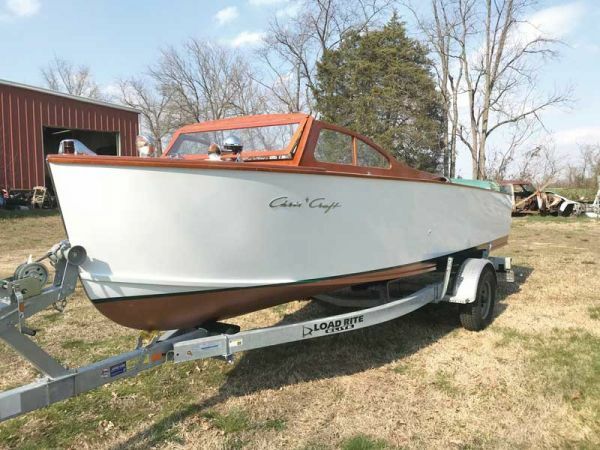 First of all, my apologies to Bill Judge of Judge Yachts for my incorrect identification of his Chesapeake 36 in last month’s column (see below). Our cold, windy, and wet reluctant spring, following on the heels of a busy winter, has area boat shops scrambling to catch up. 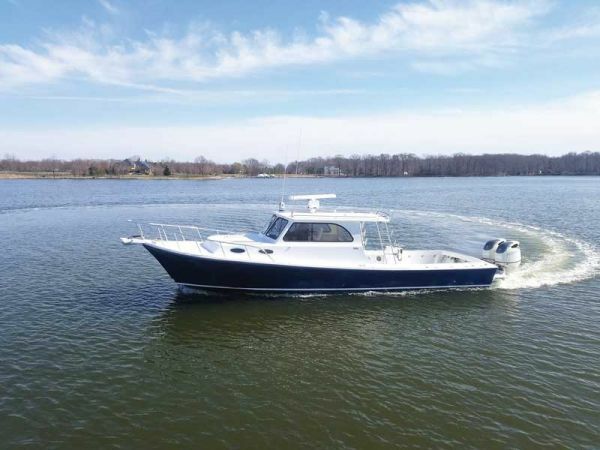 A Judge Yachts Chesapeake 36 on the Choptank River near Denton, MD. David Evans, Jr. of Evans Boats in Crisfield, MD, starts us off this month. “The yard here at Evans Boats has been quite busy! I am still wondering when the slow winter months are coming (ha ha). We are currently in the process of building three brand new cabins on a few vessels out in the shop, one of which is the Smith Island Mail boat known as the Island Belle II. ‘The Belle has been around for a long time, and it was time for a change,’ said Captain Otis Tyler. 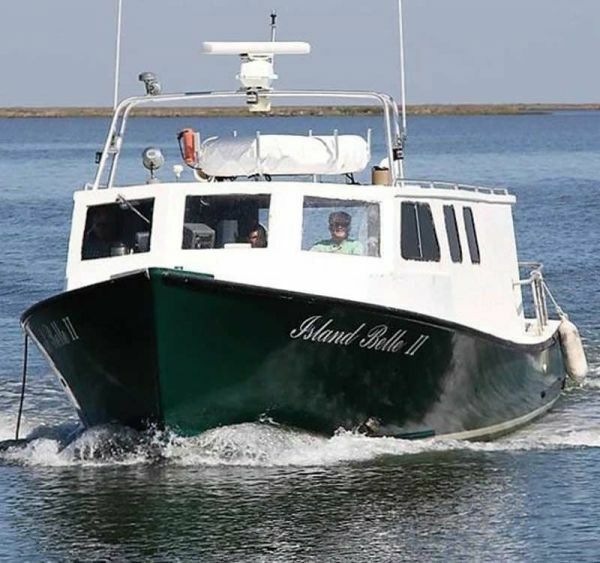 The hard working Island Belle II, the Smith Island mail boat and passenger ferry, is in the shop at Evans Boats in Crisfield, MD, for updates and a face lift. 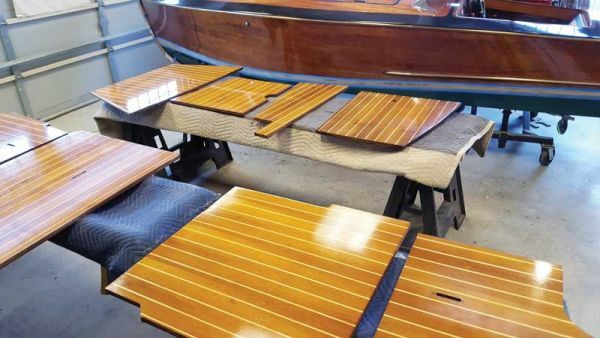 Spring varnish work covers every available surface in Classic Watercraft’s shop in Annapolis, MD. 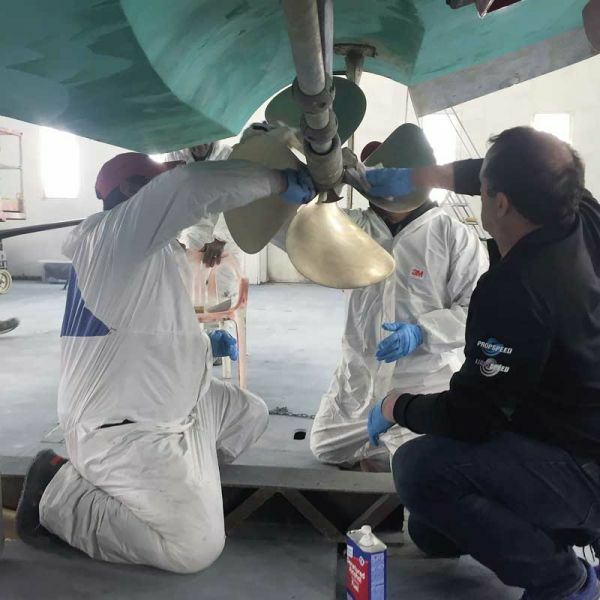 The crew at Hartge Yacht Harbor in Galesville, MD, applying Propspeed anti-fouling coating to a propeller. The buy boat Winnie Estelle hauled out for spring maintenance and Coast Guard inspection at the Chesapeake Bay Maritime Museum in St. Michaels, MD. A 1952 kit boat, restored in 2008, back again to have her varnish and paint freshened up at Wooden Boat Restoration in Millington, MD. At Composite Yacht in Trappe, MD, Rob Hardy has more than a few projects going. In addition to the developmental work on the new CY 55 Custom (See “Pushing the Envelope” on page 57), their new CY 34 and CY 46 are both out of the molds and in the shop having bulkheads, stringers, and interiors installed. 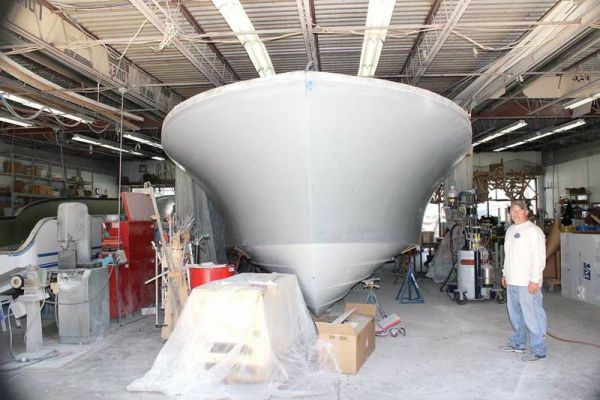 At Composite’s Cambridge plant, boats number nine and 10 of a fleet of nine-foot, electric-powered, four-passenger ‘pirate ships’ are nearing completion and will shortly be delivered to the Living Classrooms Foundation for service on Baltimore Harbor this summer. 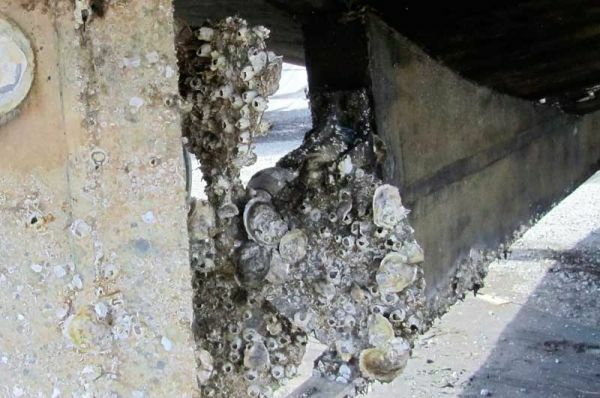 Barnacles fouling a propeller are very common, but this workboat hauled out at Hartge Yacht Yard in Galesville, MD, also sports some oyster shells. Let’s hope that summer, or at least spring, is really here at last. See you at the Antique and Classic Boat Festival! For more, click to our Boatshop Reports page.